Nasser Hussain, Michael Atherton, David Lloyd and Ian Ward dissect Windies' Test series victory over England on the Sky Cricket Podcast. Athers believes the way the hosts have secured victory over Joe Root's side in both Tests for far shows how much they care about Test cricket, adding international red-ball cricket needs a strong Windies team. 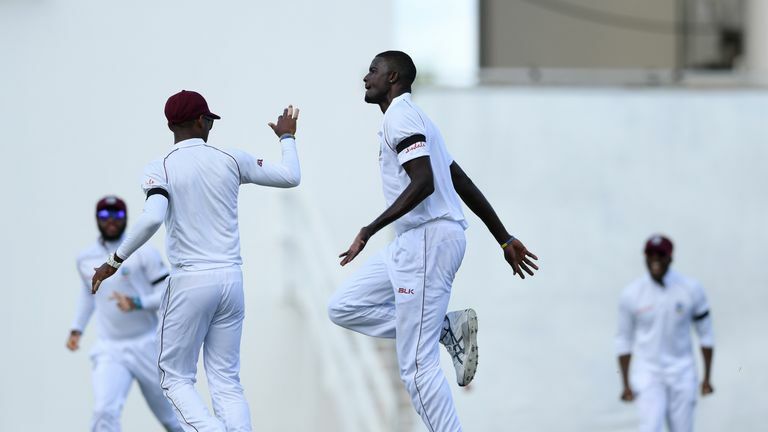 The discipline Jason Holder's side showed impressed Nasser the most, with the former England captain saying the team's talent has never been in question but their challenge now is consistency. With Darren Bravo having said that, in his experience, Windies are preparing for Test cricket better then they have before, Bumble explained England had been unable to cope with their opponents' "total" cricket. There was also an illuminating story from Bumble about batting with Bob Lanchbury as well as a lot of praise for the Windies and their pace attack. Plus, plenty of stats from Athers on England's Test batting collapses in recent years and a question over why England have been unable to replace Jonathan Trott at No. 3. Watch the third Test live on Sky Sports Cricket from 1.30pm on Saturday. You can also follow over-by-over commentary and in-play clips on our rolling blog on skysports.com and the Sky Sports app.